A lot of users have made the switch to Office 365, which is a cloud-based subscription. In that case, your email account is linked to your activation key and the subscription should be renewed depending on your plan. Even so, Office 2019/2016 with its lifetime license is still available as an alternative to the 365 subscription service. 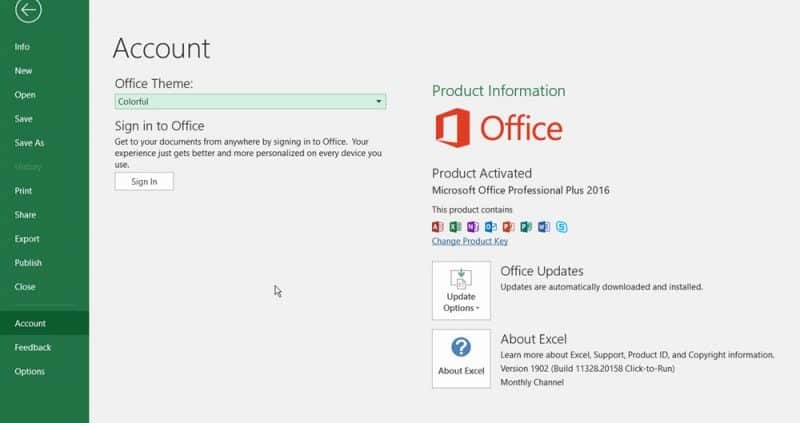 In this post, we’ll discuss and explain in detail how to activate Office 2019/2016. Before anything else, you should check the activation status of your Office copy. Open any Office application such as Word, Excel, or PowerPoint and go to File -> Account. You will find the activation status on the right under Product Information. If it says Product Activated then it means you have a valid license for your Office copy and the problem is solved. If there’s a yellow highlighted box that says Activation Required this means you will need to activate your copy which we will explain below. The current license status should be displayed after running the script, along with other details. 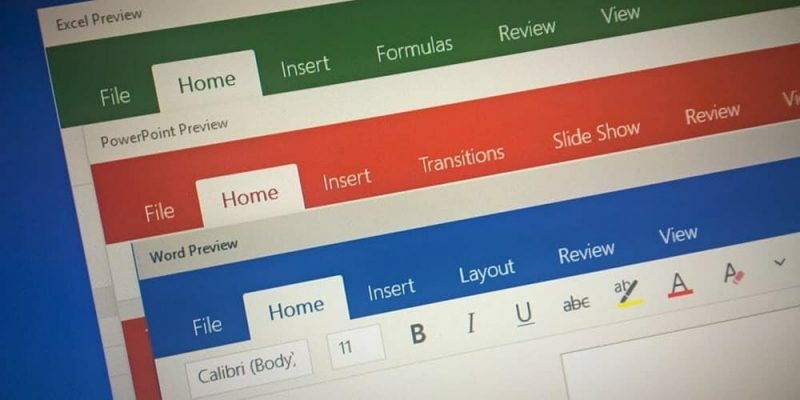 There are several methods you can use to activate Microsoft Office 2019/2016 and to use these, you will need an unlicensed copy of the program installed on your computer. 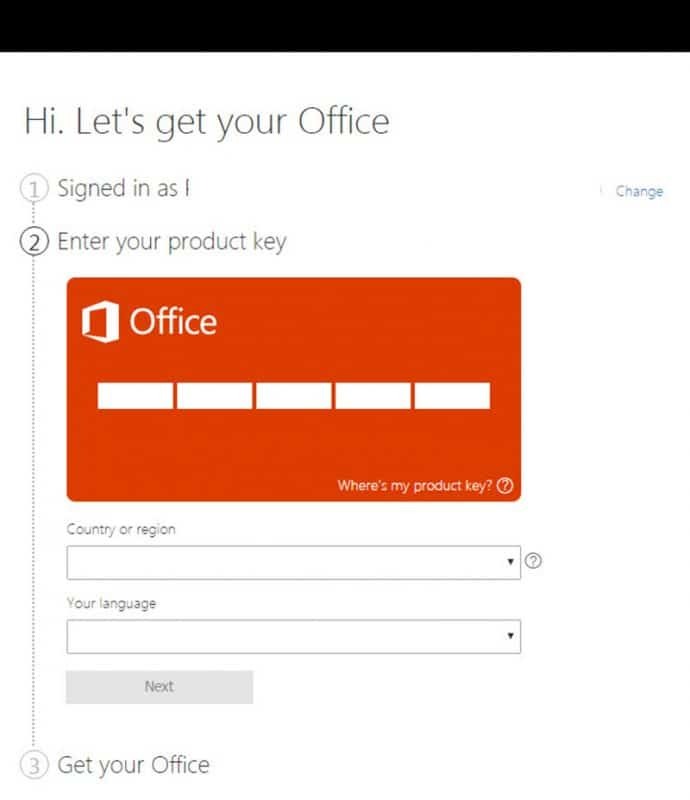 If you’ve already purchased a license or you are performing a reinstall of Office on another computer you won’t need a product key. You simply need to sign-in using the Microsoft account you used to purchase the license. Open an Office application such as Word or Excel. Sign in using the pop-up prompt or navigate to File->Account->Product Activation. Enter the login credentials for the Microsoft account linked to your Office license. If you have multiple licenses, choose the one you want to use from the list. Visit office.com/setup. Log in using your Microsoft account. Enter the 25-character long product key then select your country and language. Hit Next and you’ll be redirected to the Microsoft Services and Subscriptions page. Find the activated product and click Install to download the setup file. Run it to install Office on your PC. When prompted, sign in using the Microsoft account you just linked to your product key. Of course, you can skip the step above if you already have Office installed. In that case, you can sign in from File->Account->Product Activation. 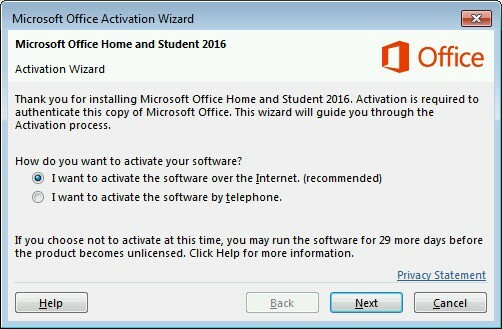 If your copy of Office was in the trial period which is now over or was never activated you’ll be prompted with an Activation Wizard. The same can happen if you changed some hardware on your computer. In this situation, you can definitely rely on the Activation Wizard to solve your problem. It’s very easy to use since it will take you through the activation process step by step and all you need to do is follow the on-screen instructions. 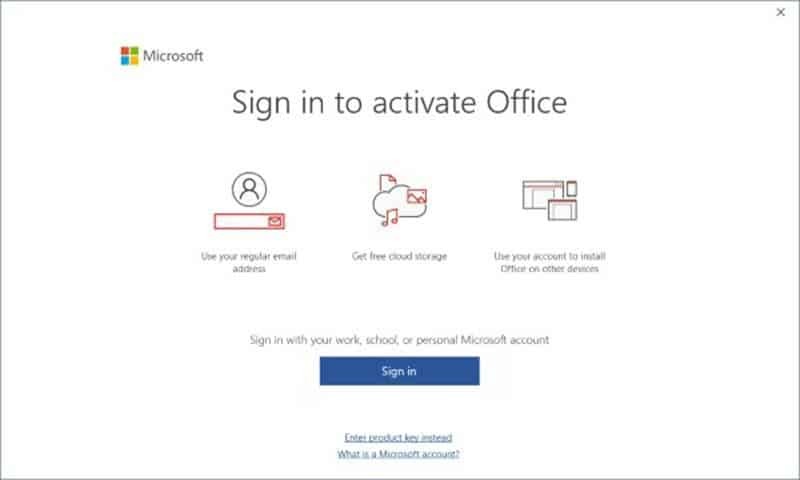 You can choose to activate Office over the Internet (the most convenient option) but you can also opt to activate it over the phone assisted by Microsoft Support. The second option can certainly come in handy if you’re having problems with the activation.